Bank Loan Disclosure Task Force White Paper on Voluntary Secondary Market Disclosure Disclosure About Bank Loans. White Paper, May 1, 2013. 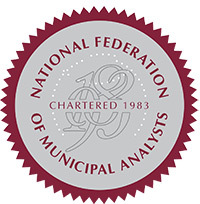 NFMA position paper on GASB and its importance to municipal credit analysis.